Walter Trifari at Southern Barrel Brewing Co.
A peanut butter stout, vanilla bean cream ale, peach ginger beer with lemon and a sangria saison are just a few of the concoctions crafted around town. 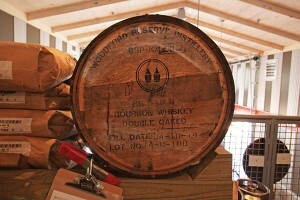 But you wouldn’t know that or get to try these tasty brews unless you strode inside River Dog Brewing Co., Southern Barrel Brewing Co. or even Fat Patties, where brewers are coming up with craft beers unique to our Carolina coast. Which is exactly why Brown teamed up with Nick Borreggine and Fat Patties to open Salt Marsh right in the heart of Bluffton. After working for a few years at River Dog, Brown knew he wanted to do things on an even smaller scale, which would allow him to play and get more unique hops and boutique grains—ingredients that brewers wouldn’t want to use on a large scale because it would ramp up costs significantly. 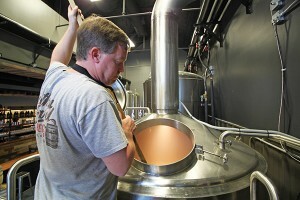 After all, he, like many brewers in the area, wants to craft creative, artful brews. “Bringing that level of creativity and boutiqueness to downtown was so intoxicating because there’s nothing like that in Bluffton,” Brown admits. With their Hoppin’ John IPA, State of Mind Saison, Dixie Delight Dubbel, Oyster Town Brown, River Wise Berliner Weisse and a few bourbon barrels to age new brews, they’re just starting to experiment. While Brown brews to the tunes at Fat Patties on Bluffton Road, John Federal heads the brewery at River Dog out in Okatie, where, in April, he started doing small batches only available on tap at their bar. Federal plans to use these craft brews to educate guests on the different hops and malts. 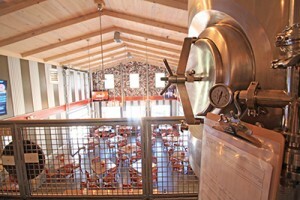 Southern Barrel is already on the small batch bandwagon—out of 12 beers on tap, about four are small batch rotations. 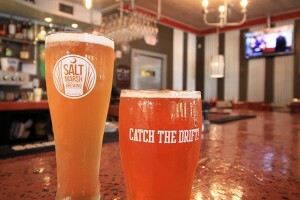 Federal and Walter Trifari, the brewmaster at Southern Barrel, even have their own SMaSH (Single Malt and Single Hops) beer series showing customers how the two ingredients interact with each other. “I already knew it was an uphill battle here in Bluffton, as far as the culture of beer versus the rest of the country, and I was okay with that. Our job here is just to keep educating people on beer,” Trifari explains. It seems the brewing business is exploding here in Bluffton, with the opening of River Dog Brewing Co., Southern Barrel last May and Salt Marsh at Fat Patties in October. 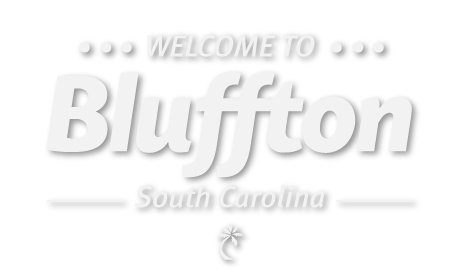 However, the truth is Bluffton—and the entire state of South Carolina—is a bit behind. Just 250 miles away in North Carolina, there are more than 150 breweries. South Carolina doesn’t even have 50 yet, which is less than Georgia, where brewery laws are even more constrictive. On the other hand, business is booming in states such as California, where there are more than 500 breweries, and Colorado, which is on the cusp of 300. Every state runs on a three-tier system—manufacturing, distribution and retail—and some of these leading states have laws allowing breweries to be their own distributor, instead of using a distribution company which takes a share of the profits. The effect? Obligatory distributors rise in power in the market at the expense of craft brewers. That’s one of the reasons why you don’t see Salt Marsh’s brews anywhere else in town but Fat Patties. allow us to distribute,” Brown explains. 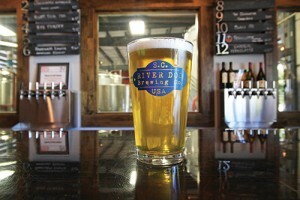 While North Carolina breweries are allowed to bypass the second tier and self-distribute, South Carolina prevents this and breweries, such as Southern Barrel and River Dog, who have retailer licenses, must send anyone looking to get a keg to their distributor. They are only allowed to sell glasses of beer, six-packs and growlers. These regulations were put in place during Prohibition and these antiquated laws aren’t conducive to small businesses. They allow big breweries to get bigger at the expense of newcomers, who already have higher costs for production, ingredients and packaging. But even with these hurtles, craft beer sales continue to grow. Last year, while overall beer sales went down .2%, craft beer sales grew about 12.8% (twice as much as imported beer), according to the Brewers Association. Though macrobreweries have a hold on the beer market, craft breweries have risen to the challenge. Creative—some say sly and sneaky—marketing has allowed macrobreweries to produce and line up beers at stores that look like craft brews. It’s also trained individuals to think that beers are best served at the coldest temperatures—which may be true for some, but is certainly a myth in many cases. As Trifari puts it, cheaper beer doesn’t taste very good when it warms up and that’s why companies insist on frozen beer glasses and ice-cold beer—because the colder the beer, the less you taste. “We’re trying to help people understand that good flavor comes from good ingredients, taking time to make the beer and that here we are making the beer, as part of the community,” Trifari notes. Sharing ideas, ingredients, equipment and knowledge is what’s helping Bluffton’s craft brew scene boom. Dog, both collaborations with Old Town’s Corner Perk Coffee Roasters. And the small batches are doing their fair share of attracting regulars who are embracing new tastes and are excited to learn about hops from New Zealand or how pilsner malt and Amarillo hops interact with each other. Local craft breweries have to band together because they too are in their own uphill battle and, to survive, it’s vital for the community to embrace local products and businesses—just as they’ve done with local boutiques such as Cocoon and Gigi’s, restaurants such as Cahill’s and Walnuts Café—and help their neighbors. While buying beer plays a big part, getting out, enjoying quality time engaging with one another and learning is just as important. This month, Southern Barrel celebrates its one year anniversary on May 15 with live music and possibly even the release of some new brews; the South Carolina Brewers Guild puts on their first beer festival on May 21 in Cayce, SC; and River Dog throws their own beer festival, Barrels and Bluegrass, on May 28 from noon to 5 p.m. at Honey Horn Plantation with three bluegrass bands, locally-sourced Lowcountry fare and about 50 breweries, who’ve been encouraged to bring special and rare beers that push the envelope. “We’re really trying to push that unique edge on people because, for us, the benefit is more people get interested in what beer can be,” Federal explains. After all, each brewer is like a different chef and each of Bluffton’s brewers have worked their way from home brewing to brew pubs and big production breweries and then scaled back to smaller settings, just miles off the May River, to concoct appealing creations for different tastes.